The TeraFlex 3" Sport S/T3 suspension system is an all-inclusively designed system and will deliver performance, dependability, and turn your weekend outing into a lifetime adventure. 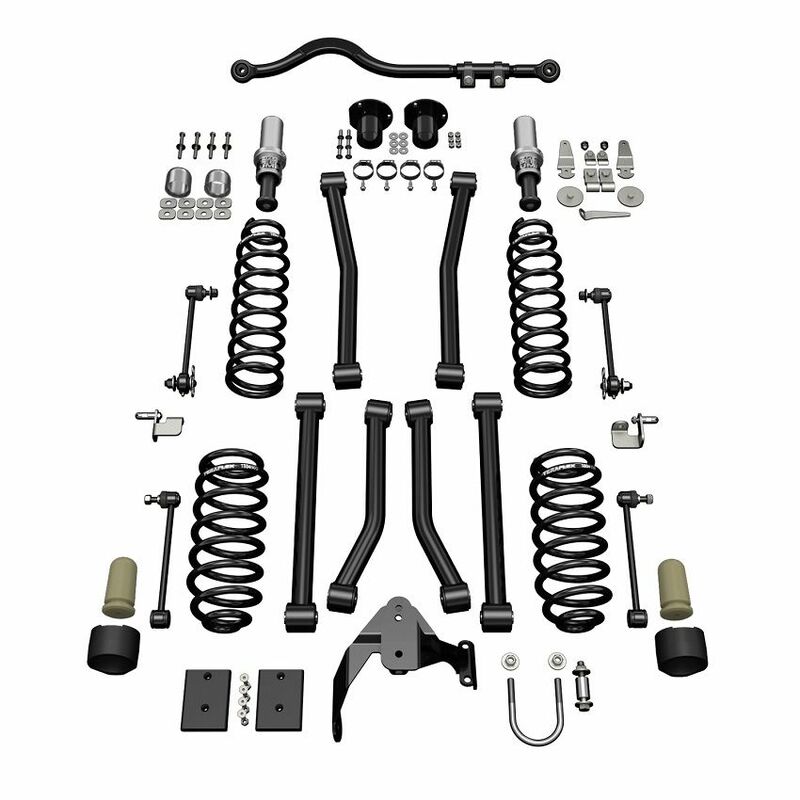 The S/T3 kit combines the performance enhancements of the 3" lift kit, the maintenance free benefit of Sport flexarms and proven progressive SpeedBump bump stops for a complete suspension system. The S/T3 is at home on city streets or black diamond trails. Install Friday, wheel Saturday and drive to church Sunday! Falcon shocks are specifically designed to accompany TeraFlex coil springs and improve both compression and rebound. Vehicle stability is the paramount goal. 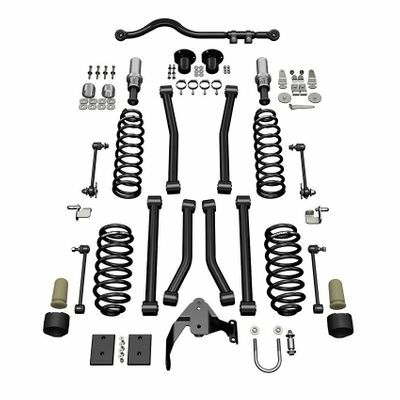 The Sport S/T3 Suspension System includes a 3" lift, SpeedBump bump stops, front track bar, exhaust spacer, 6 Sport flexarms, and optional Falcon shocks.